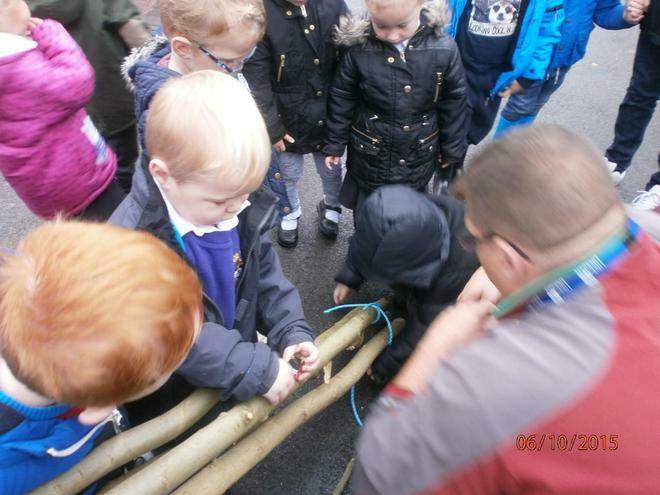 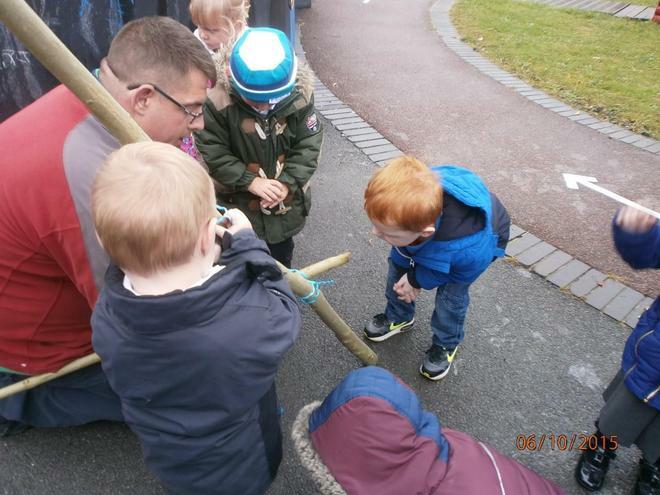 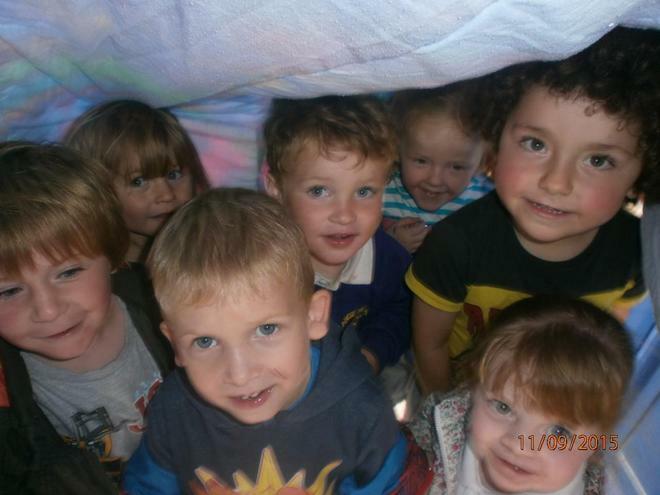 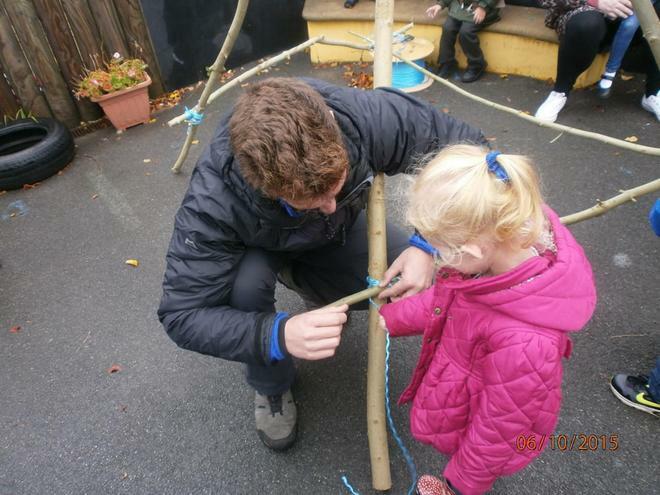 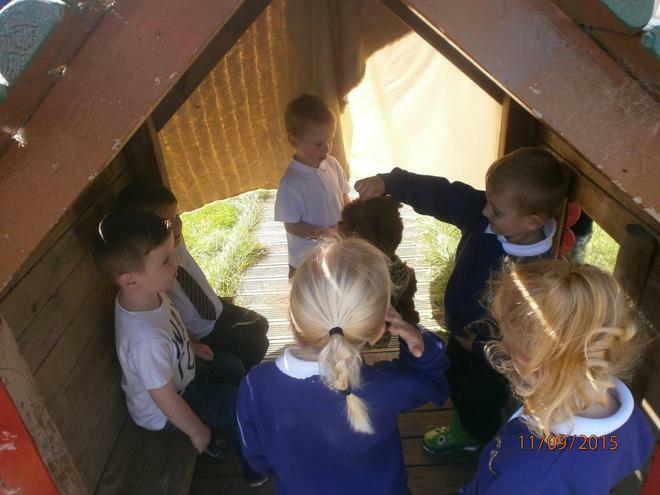 This week we have been den building with the West View Project. 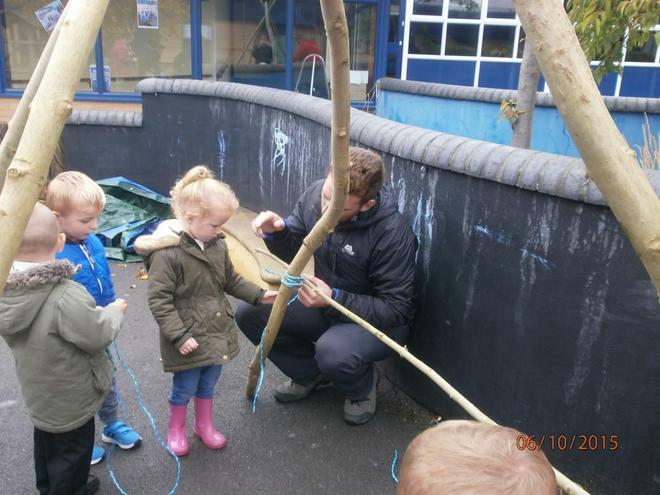 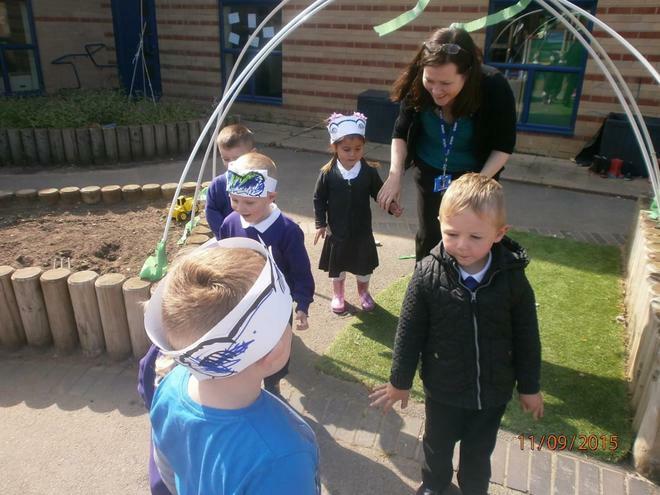 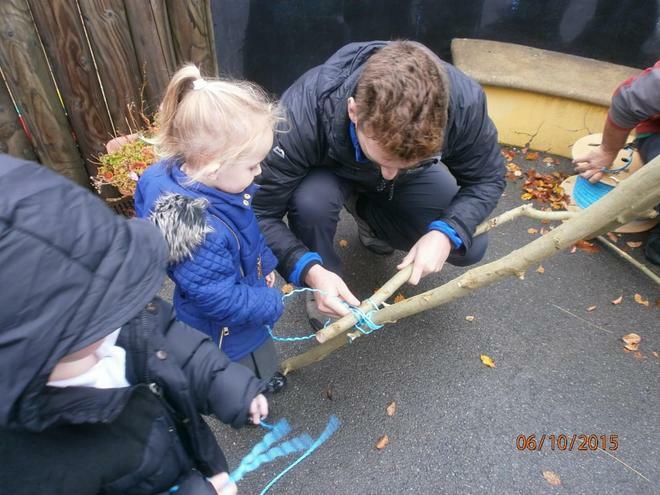 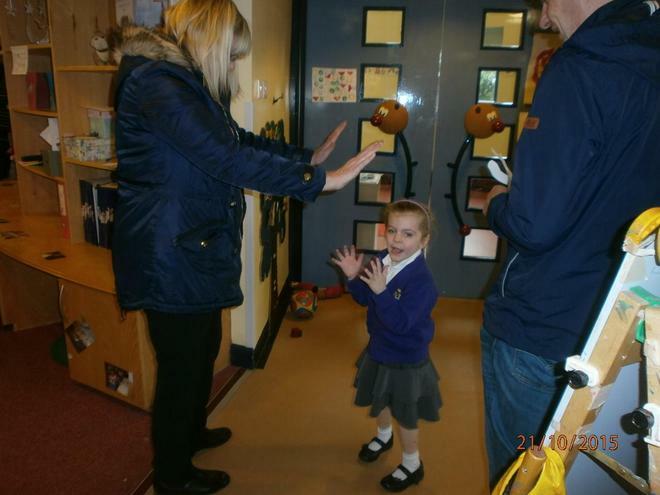 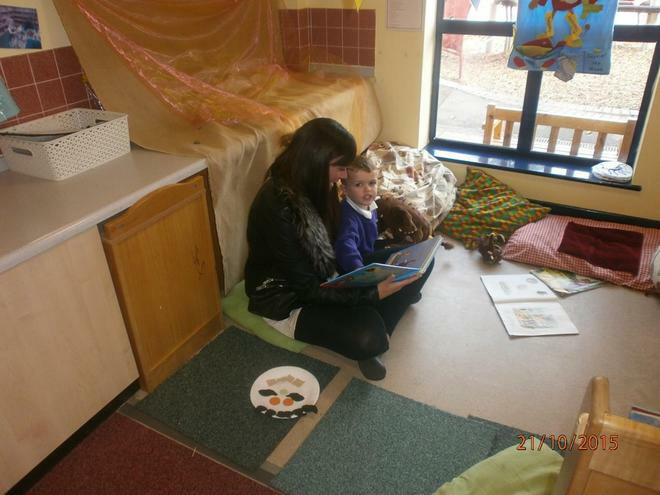 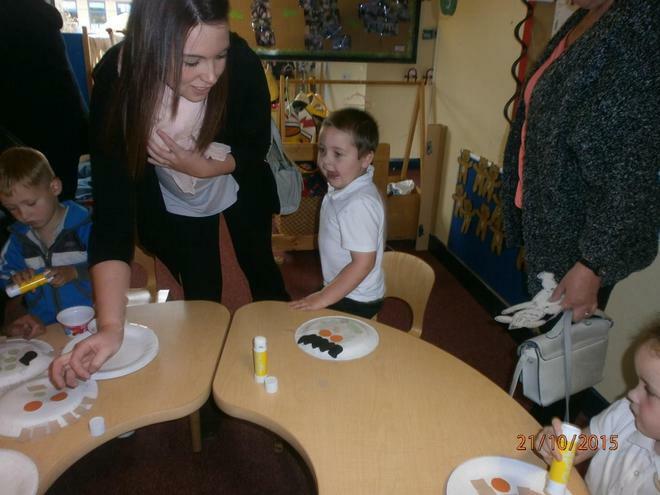 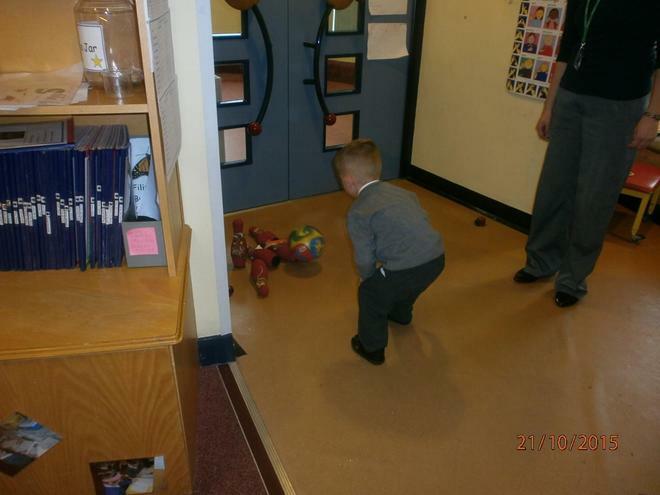 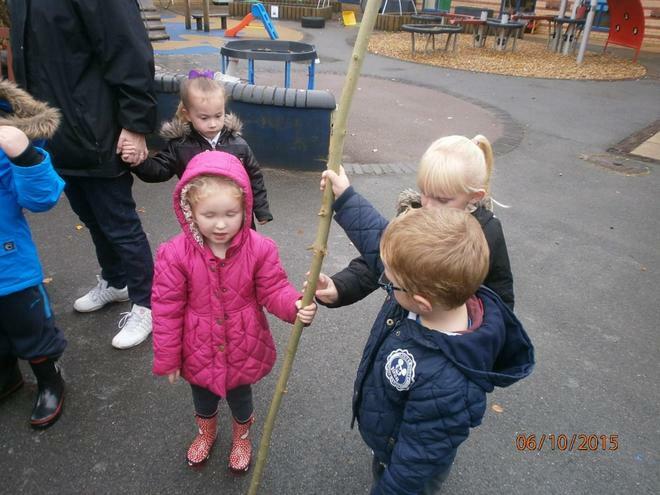 We listened to the story of 'We're going on a bear hunt' and then acted it out. 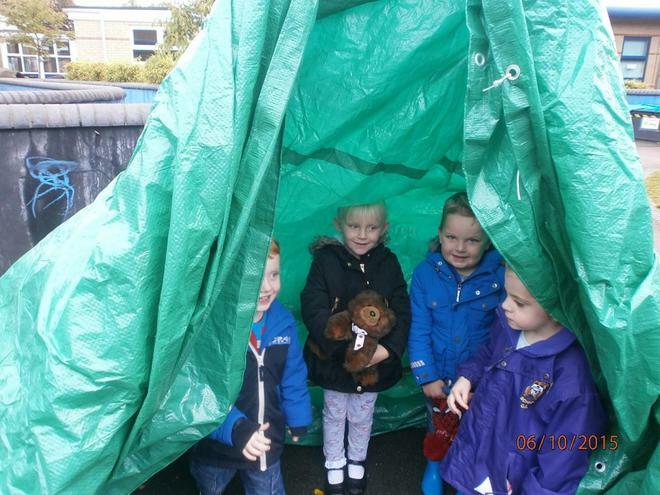 Finally we built a den/ cave for the bear to live in. 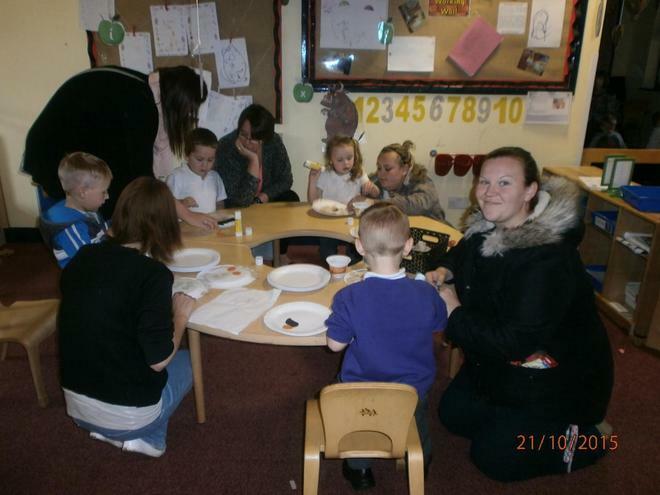 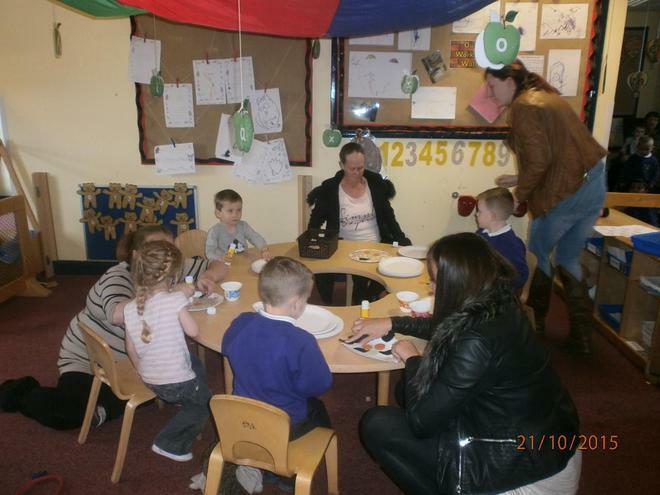 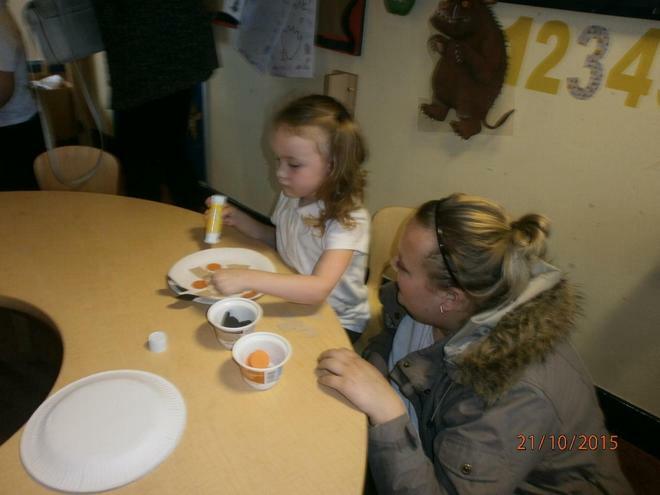 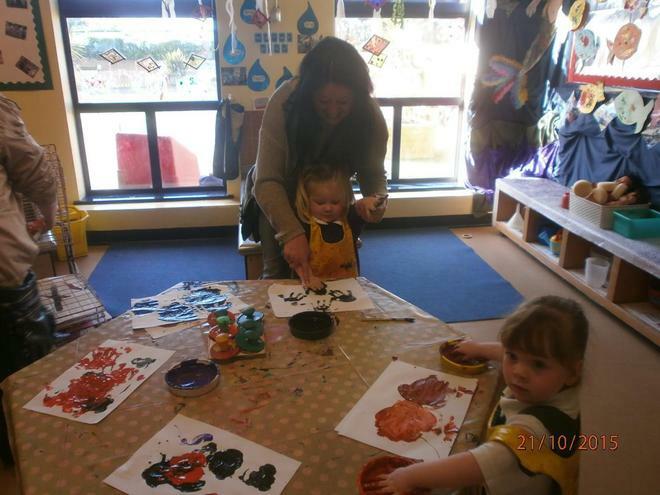 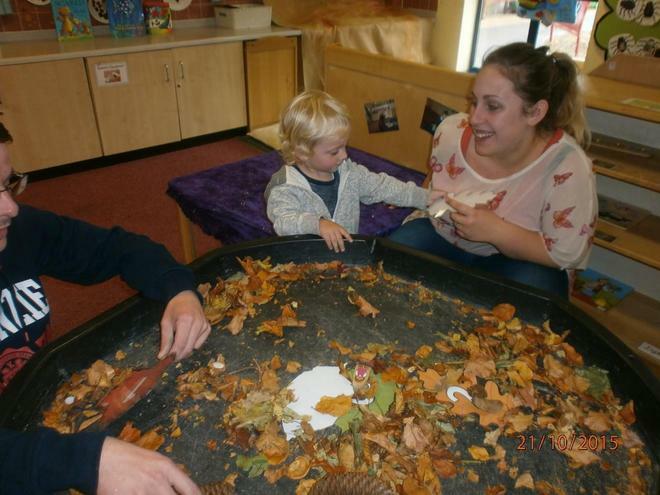 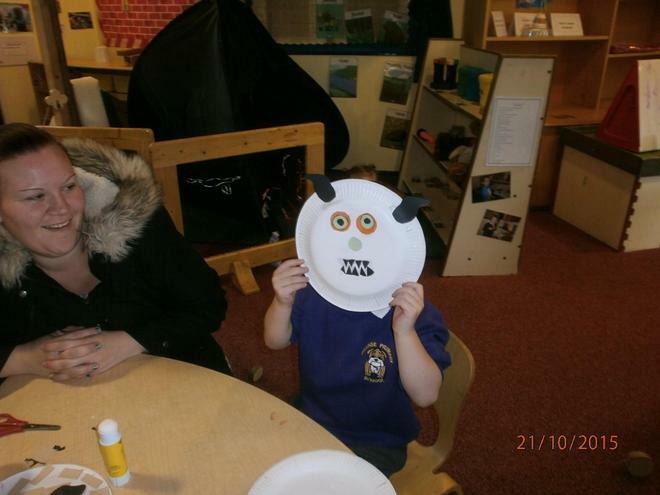 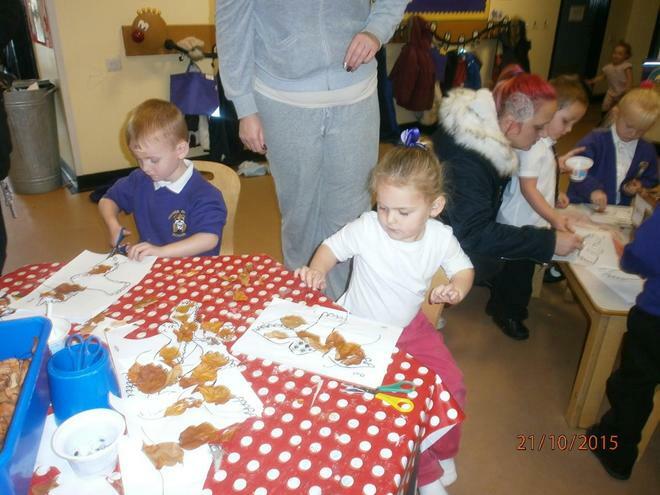 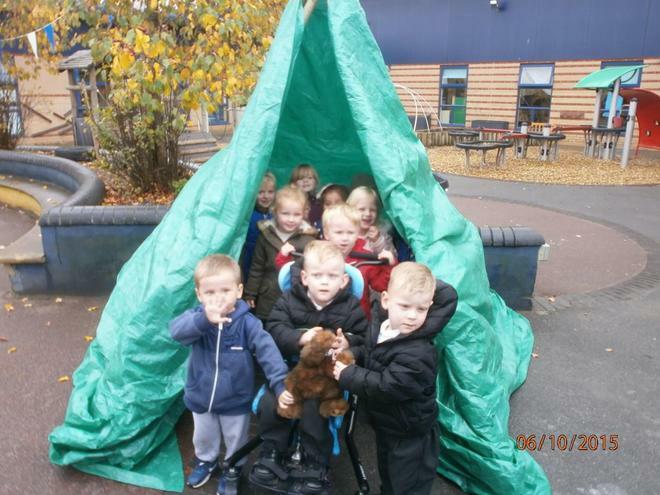 This week most of the children have been to Wynyard Forest on a Gruffalo hunt. 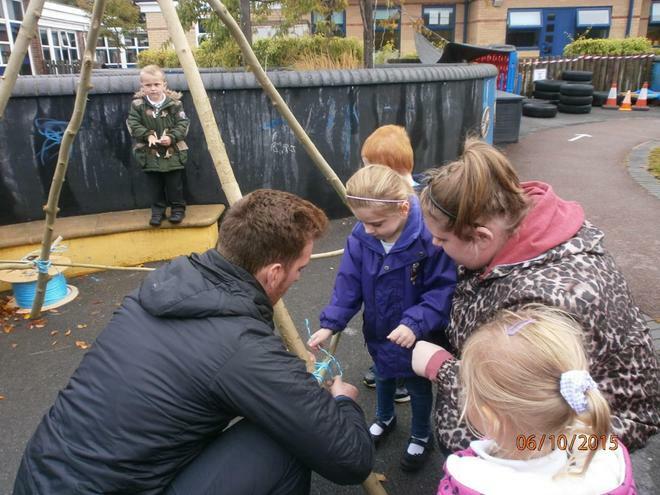 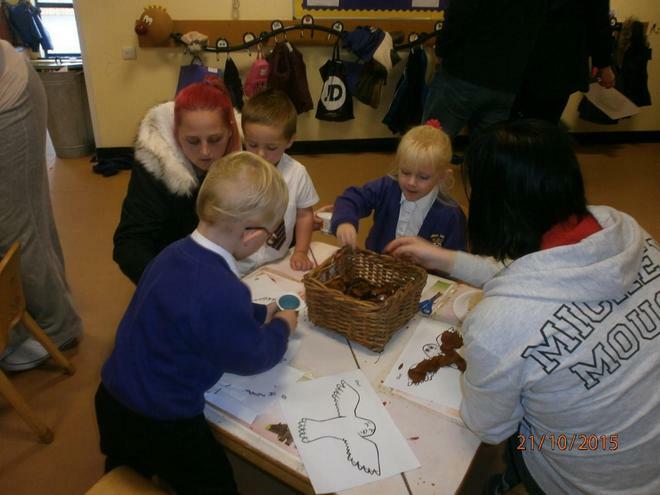 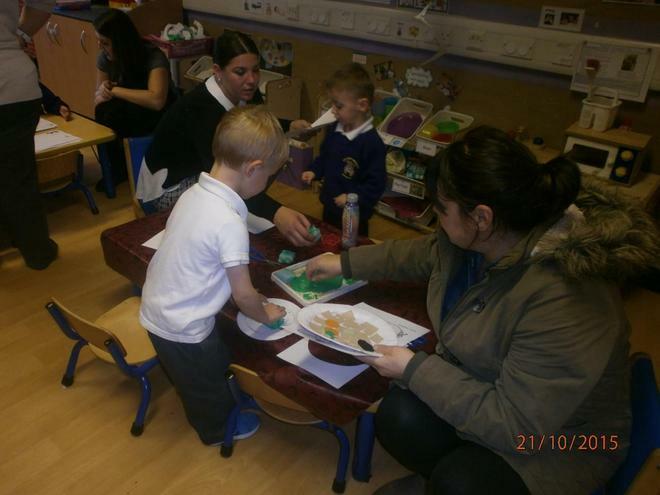 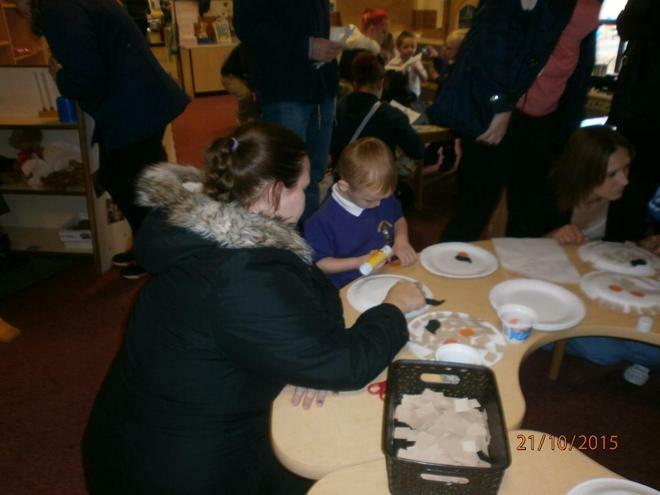 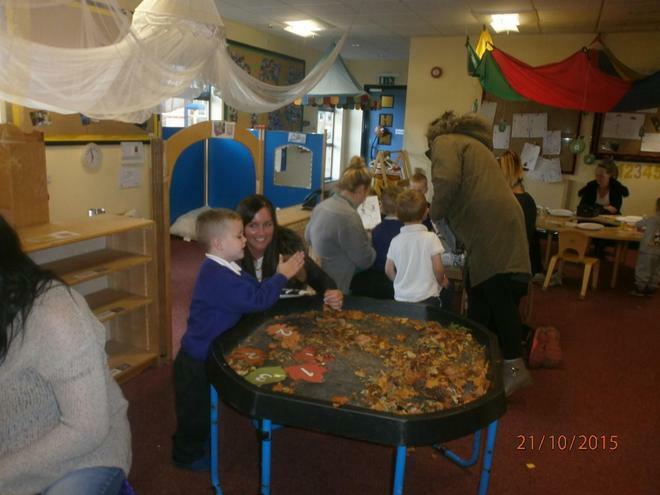 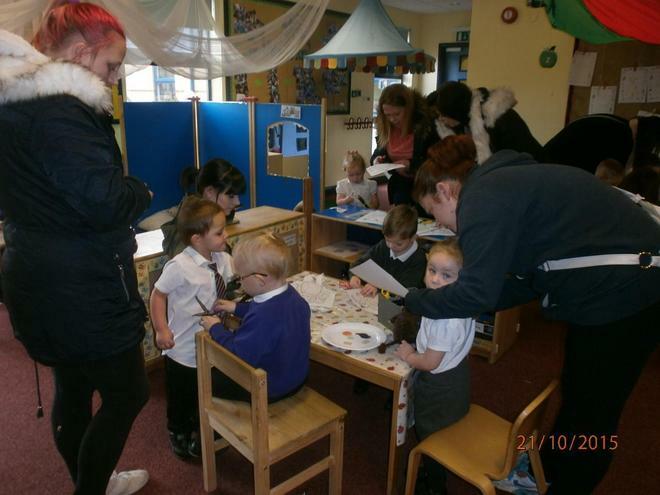 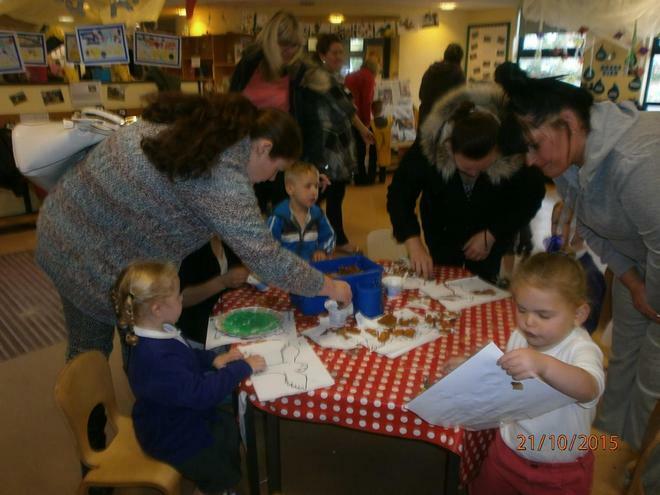 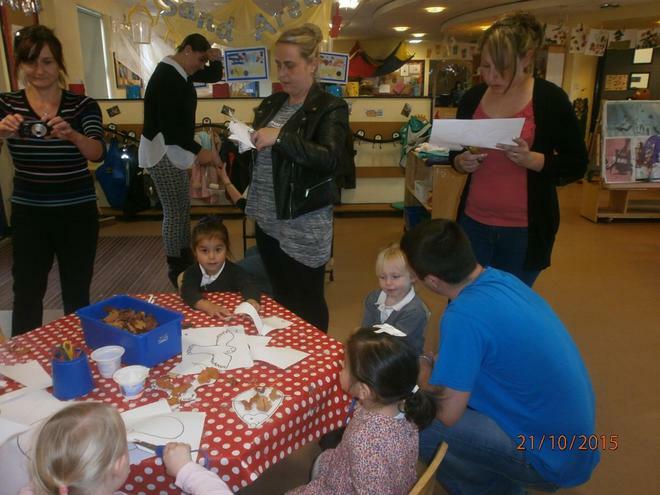 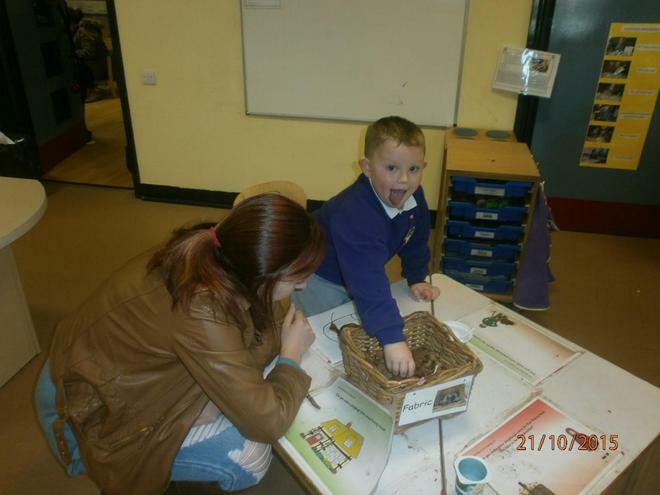 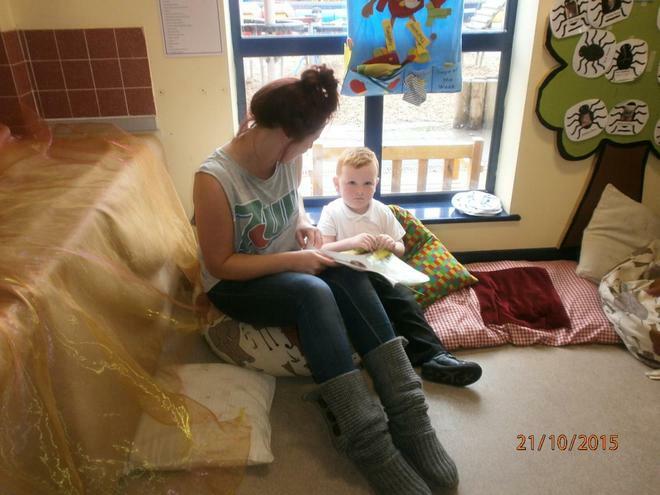 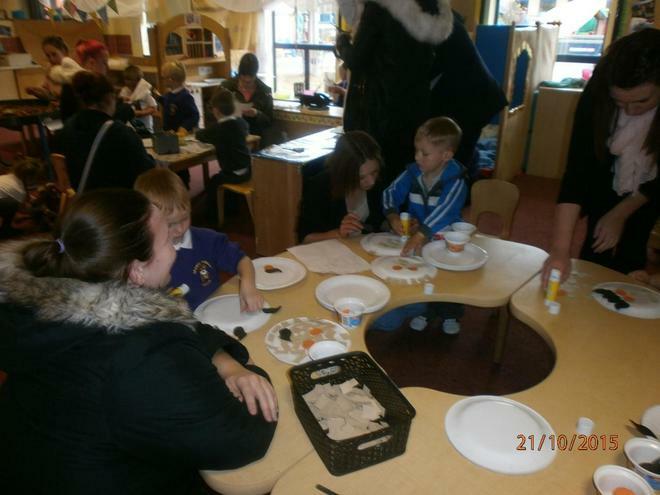 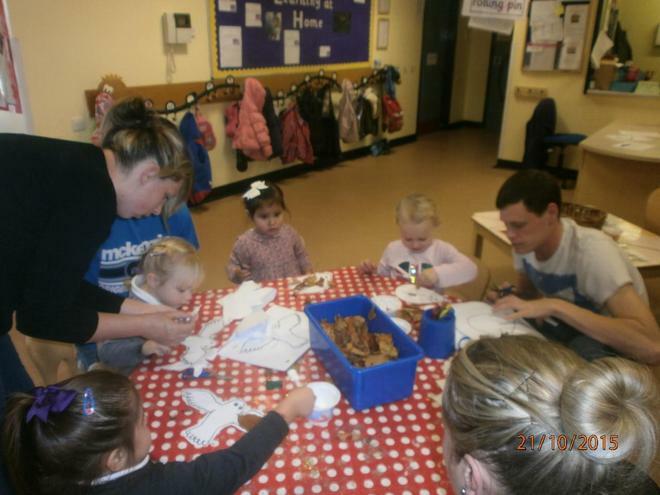 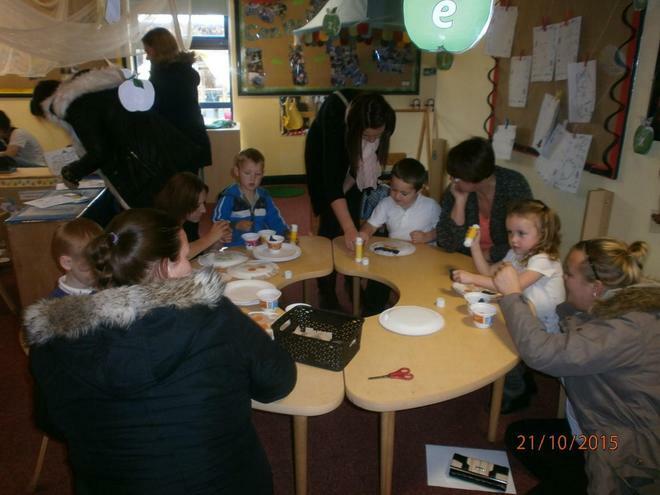 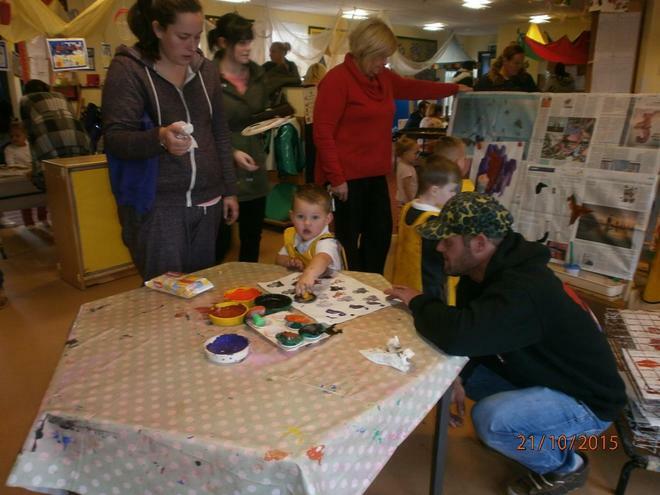 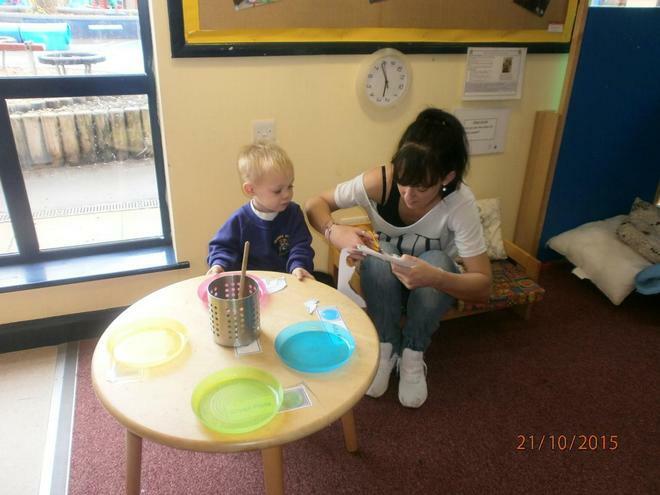 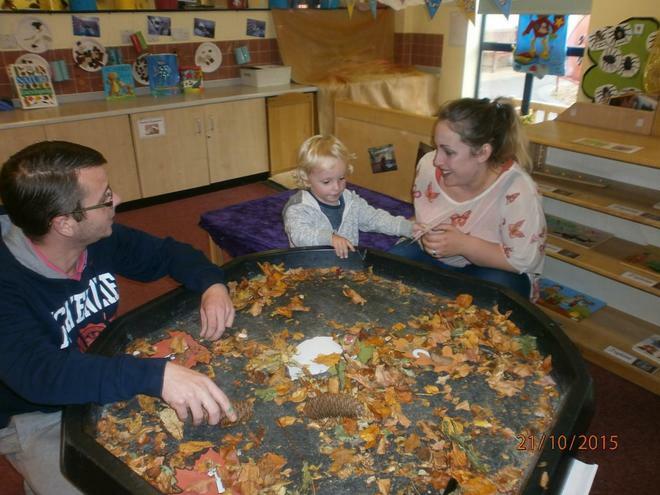 Despite the rain, the children had a fantastic time and found all of the animals from the story. 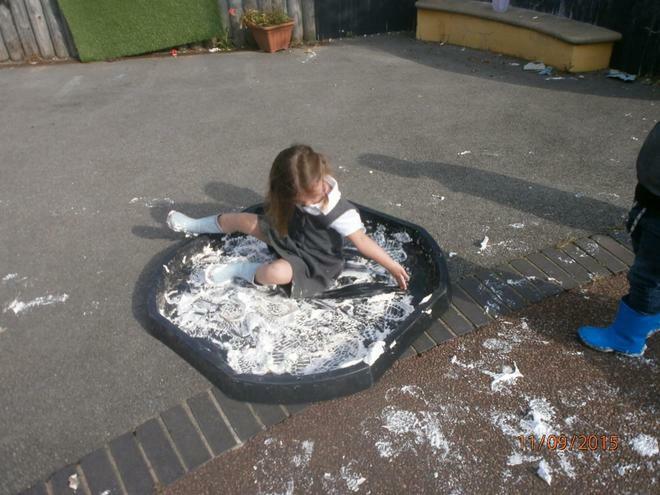 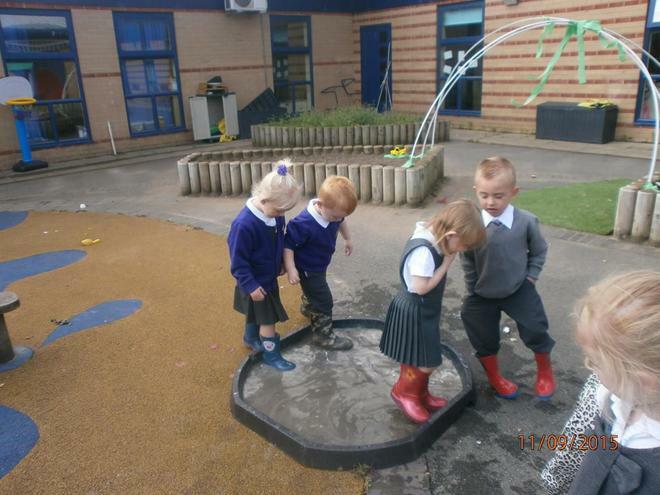 Our topic this term is 'Can we explore it?'. 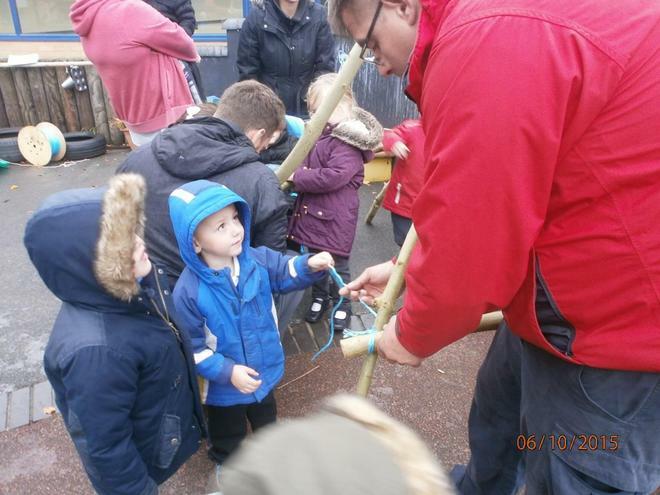 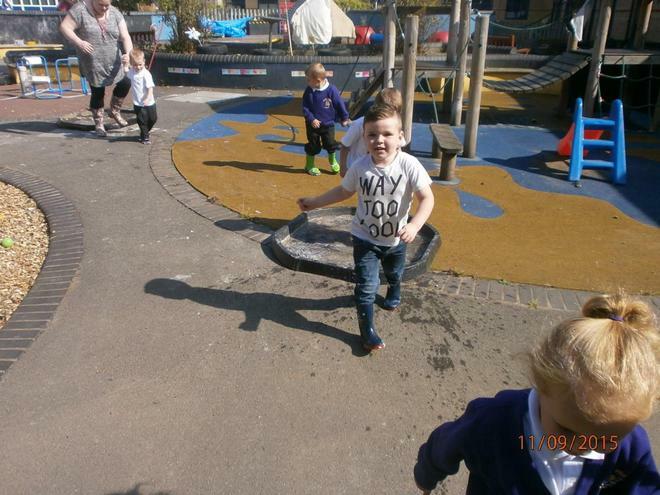 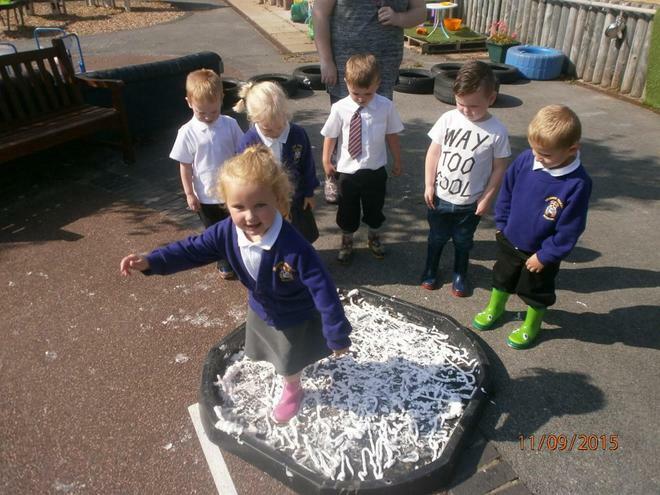 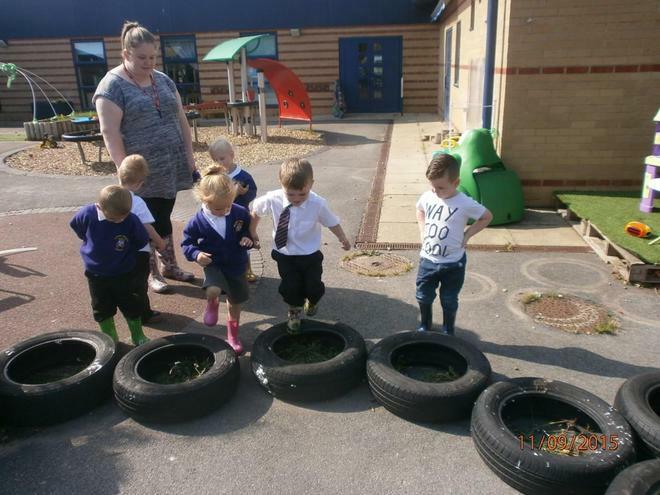 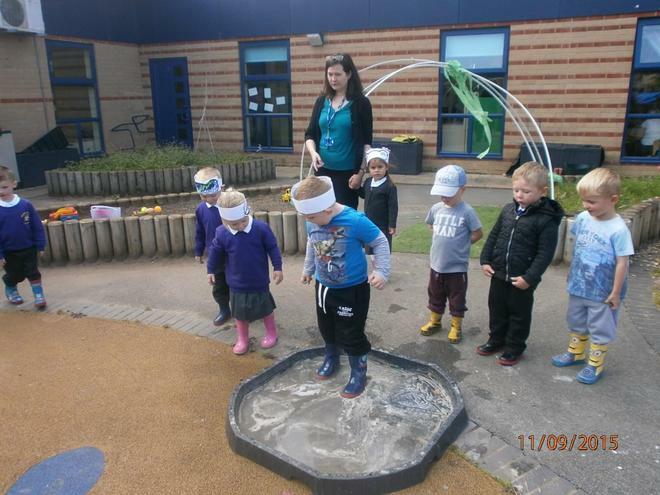 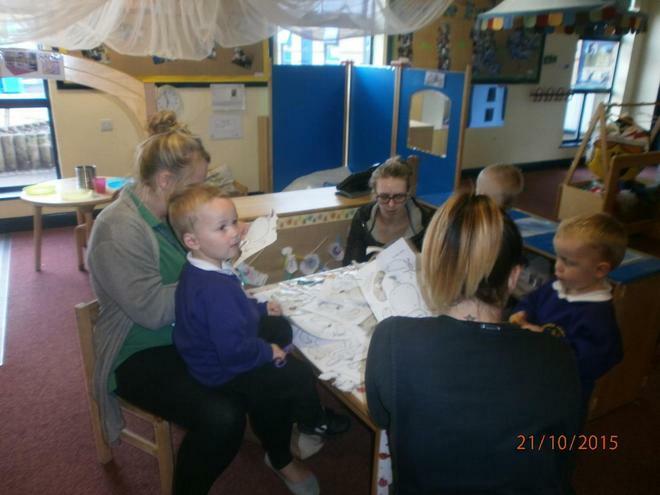 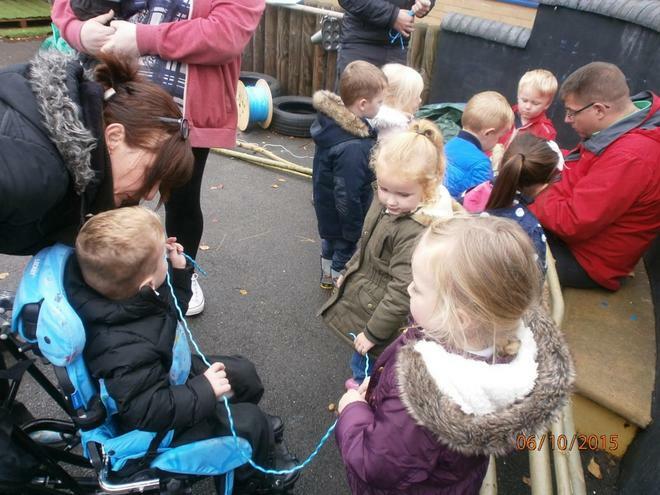 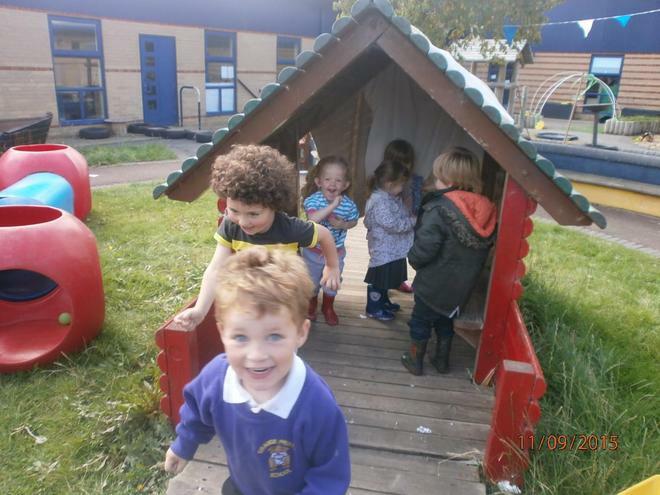 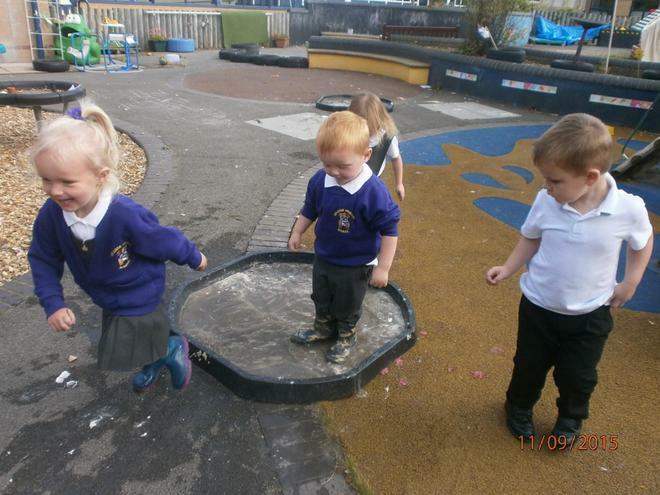 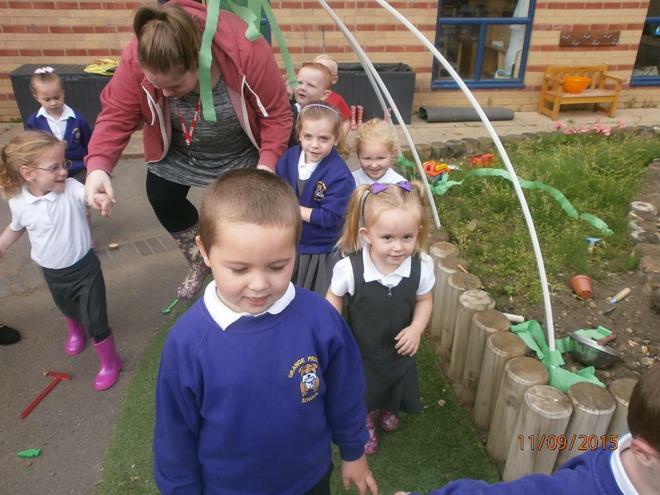 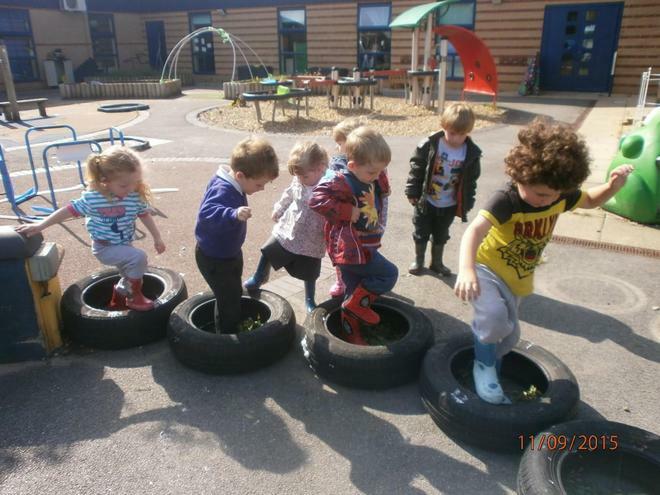 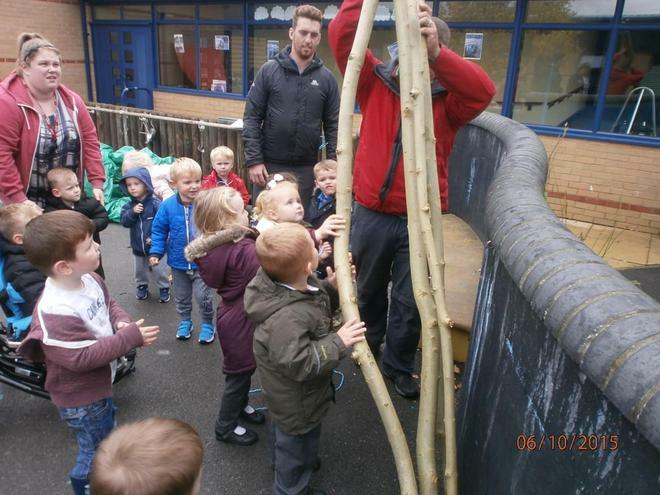 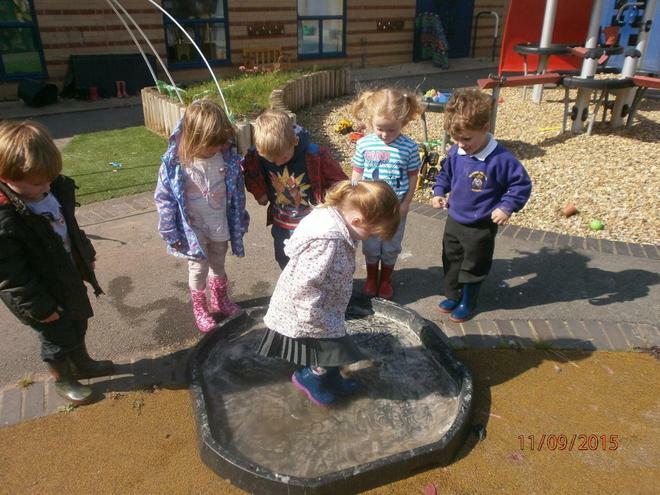 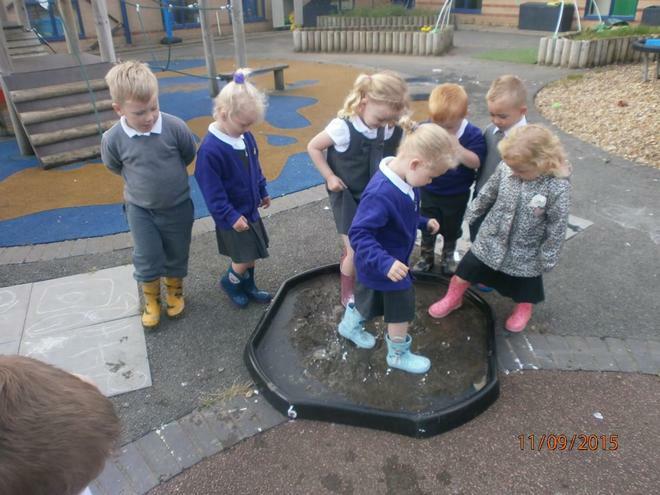 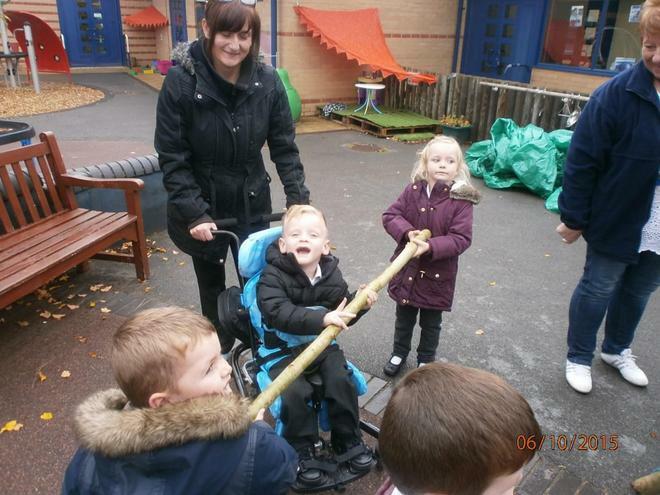 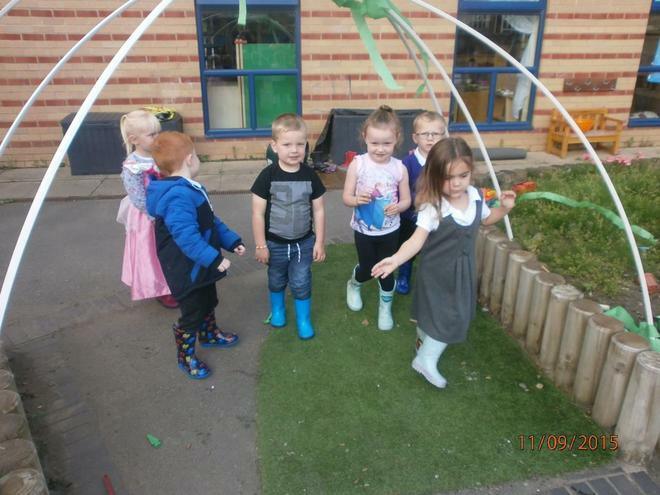 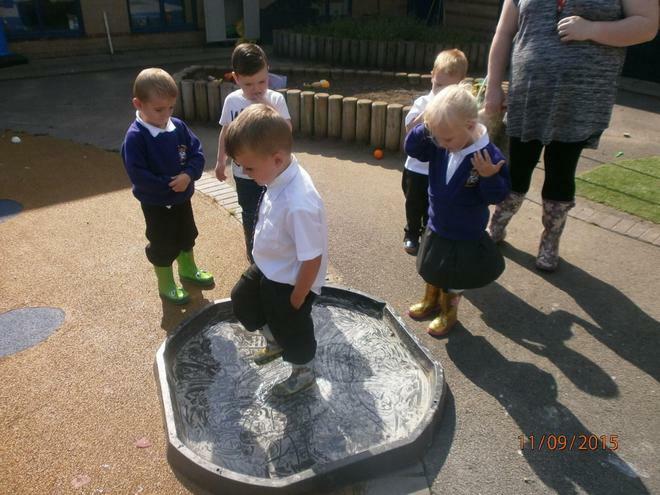 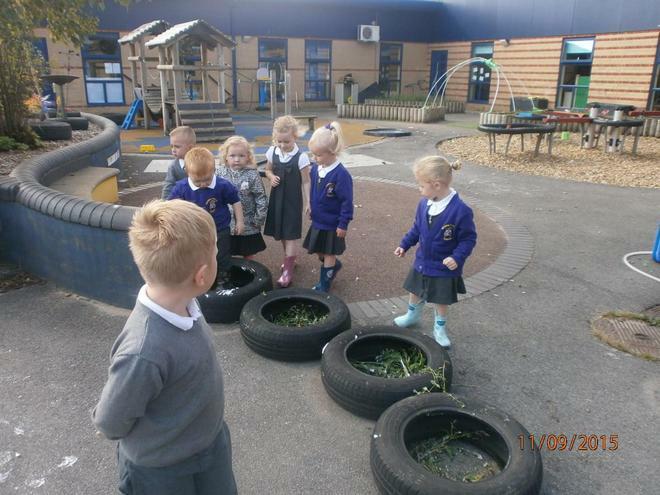 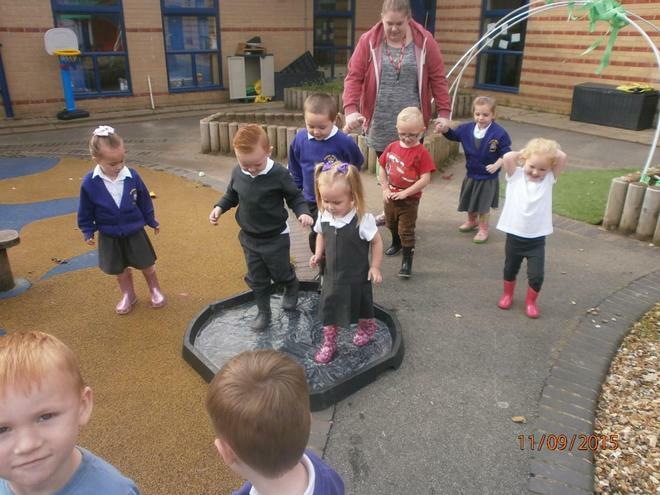 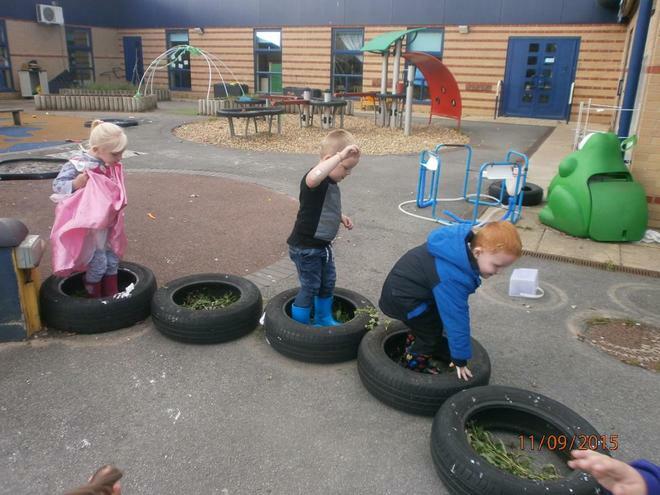 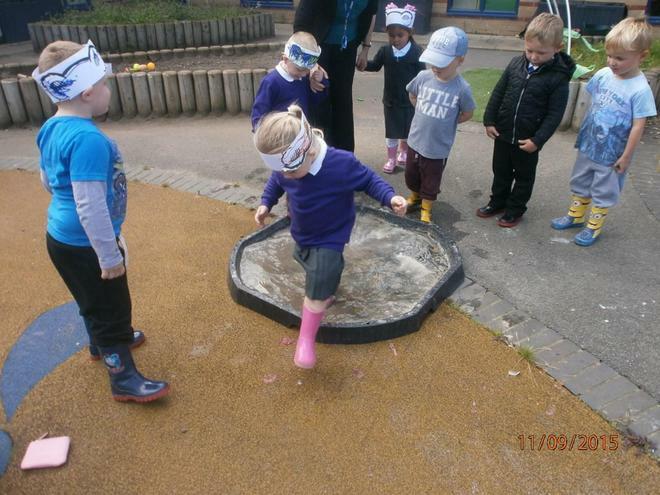 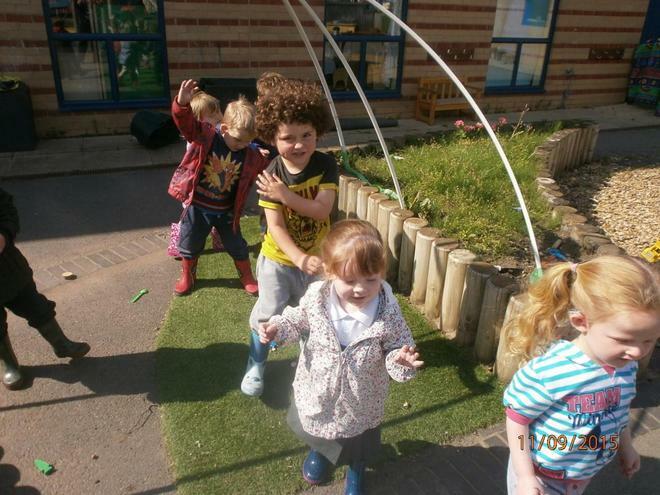 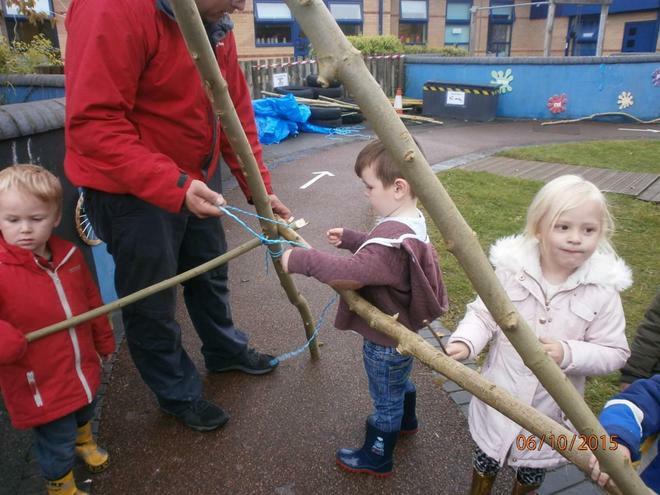 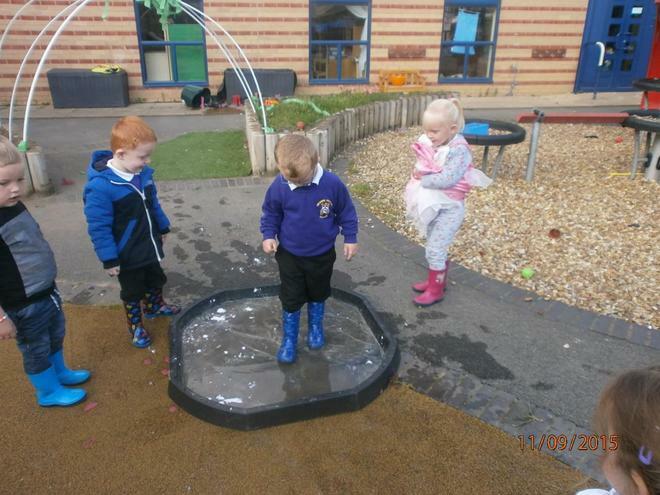 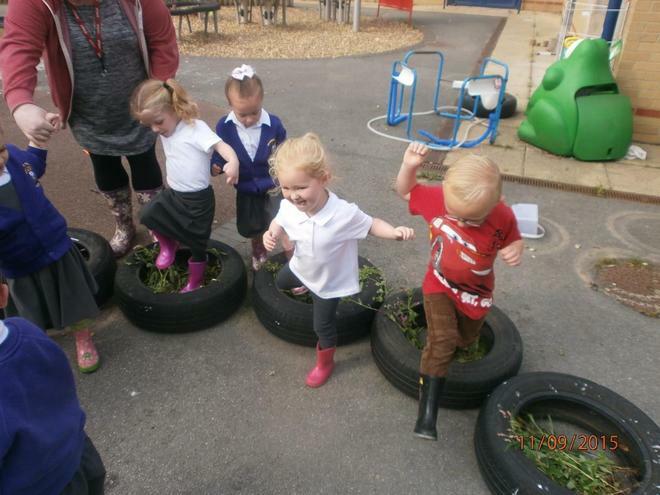 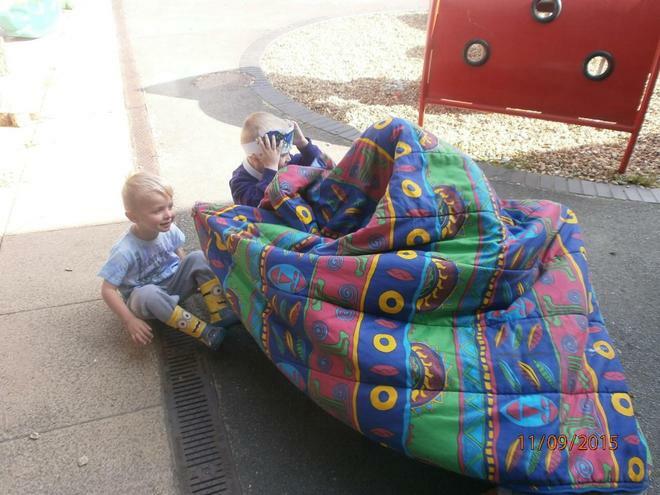 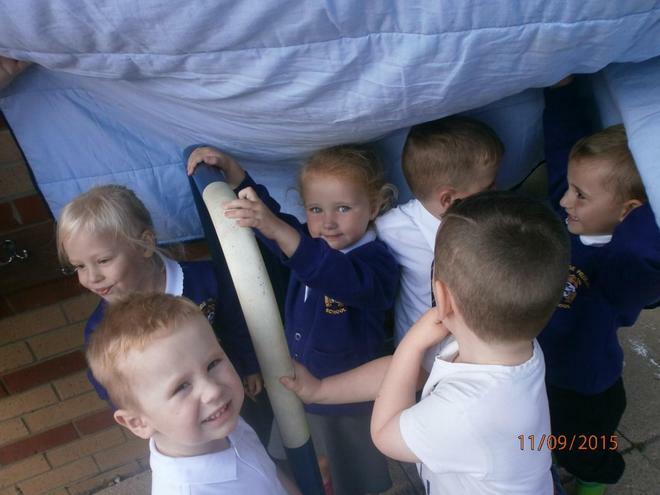 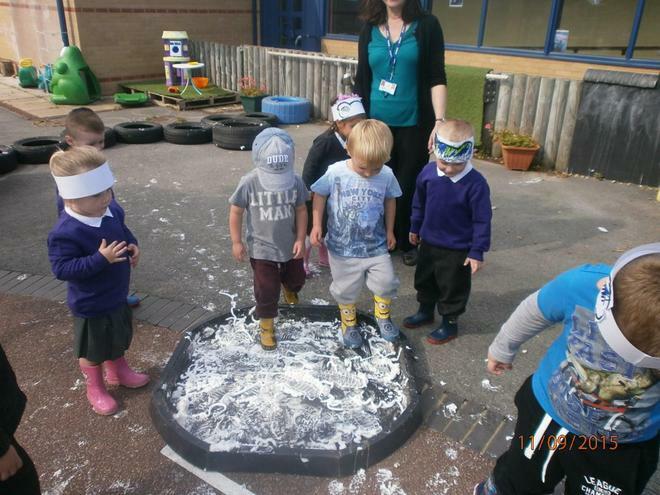 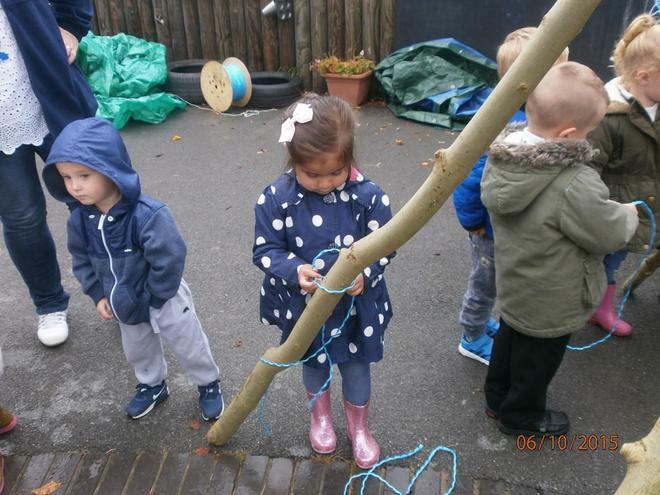 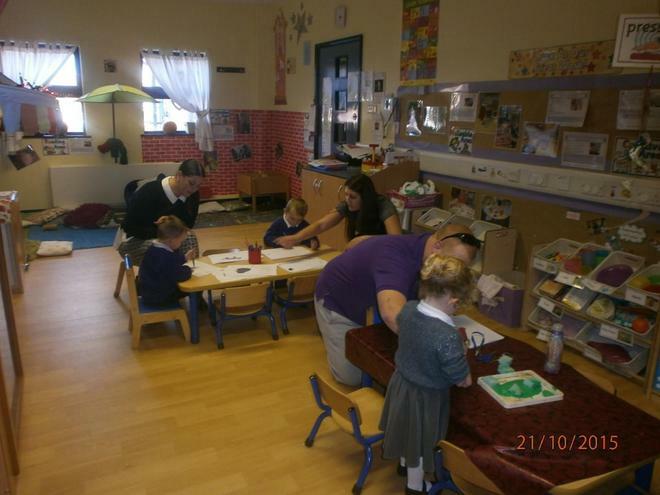 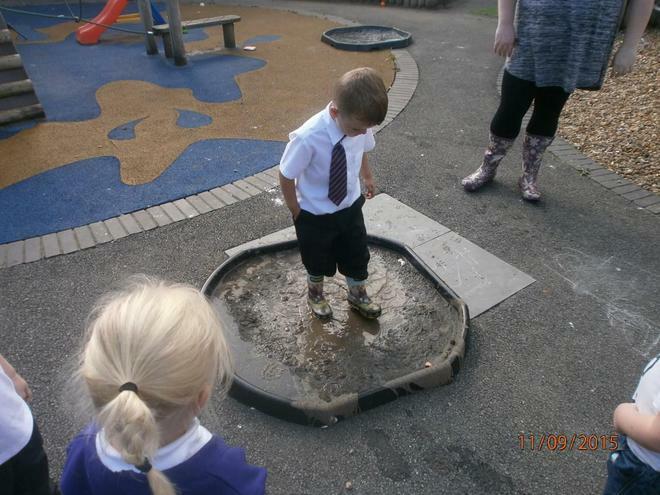 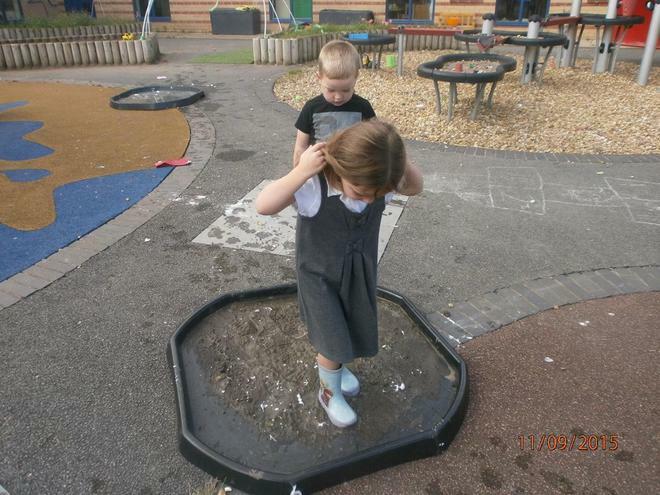 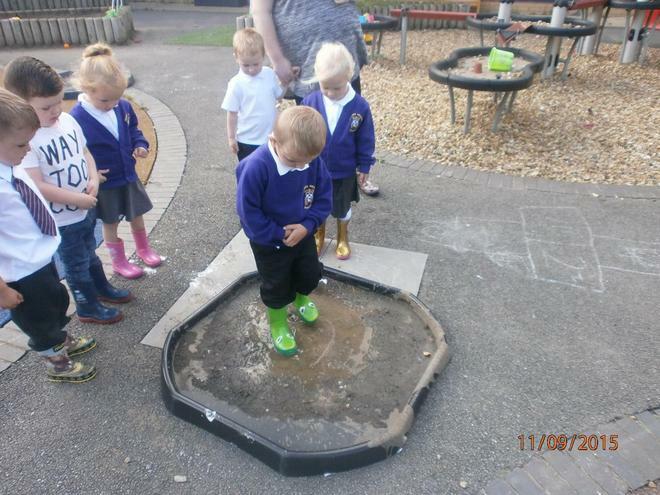 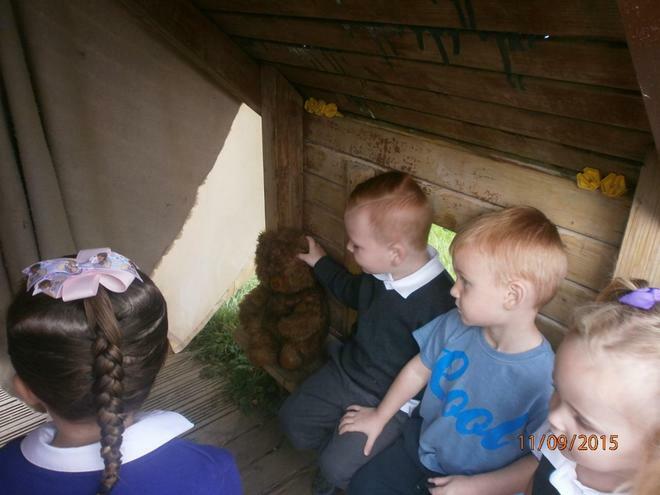 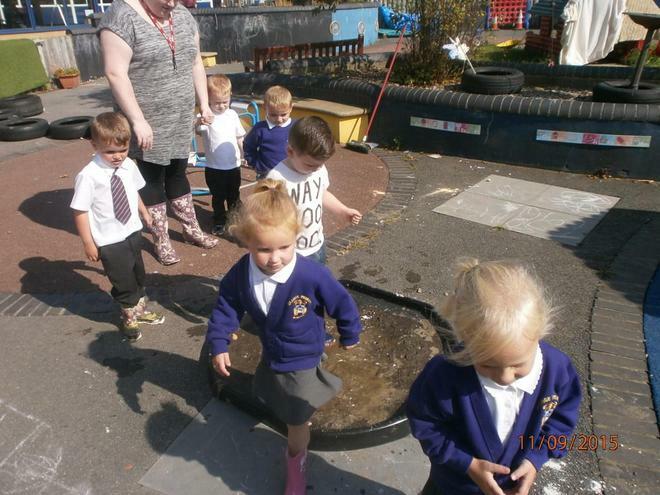 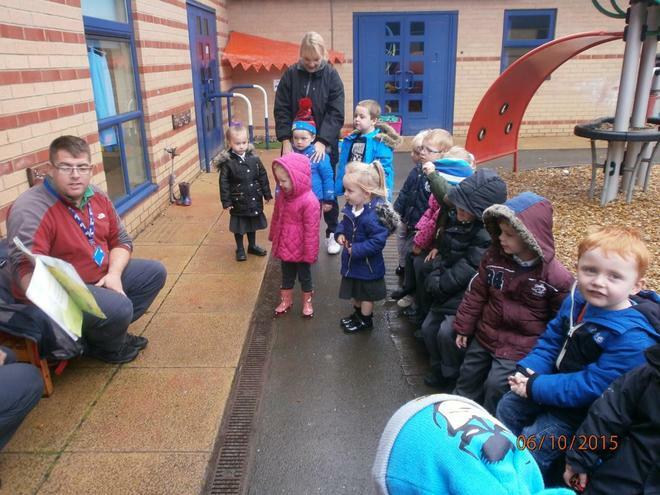 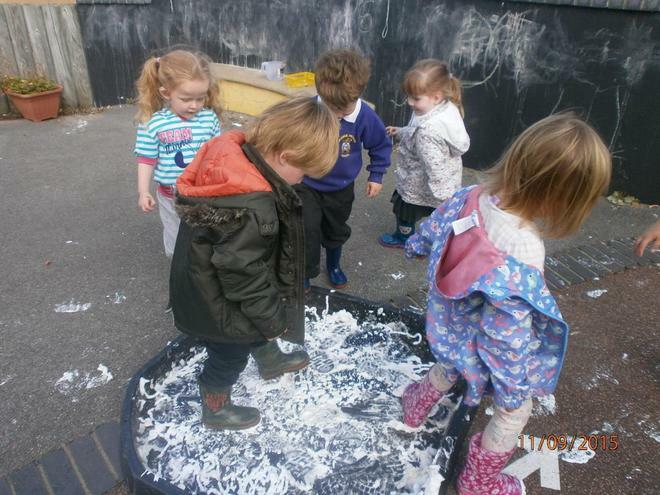 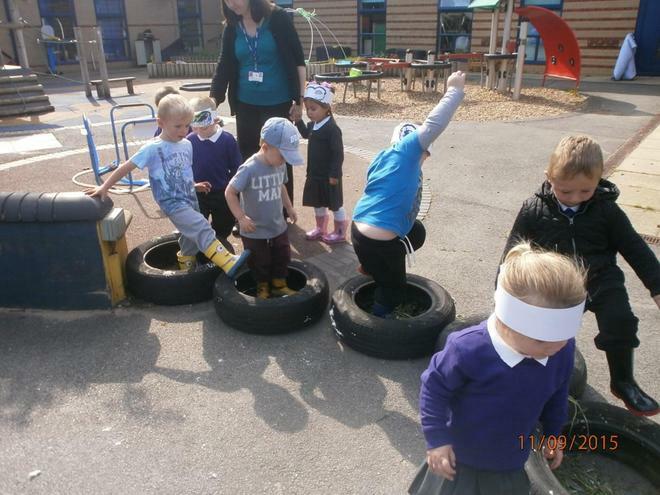 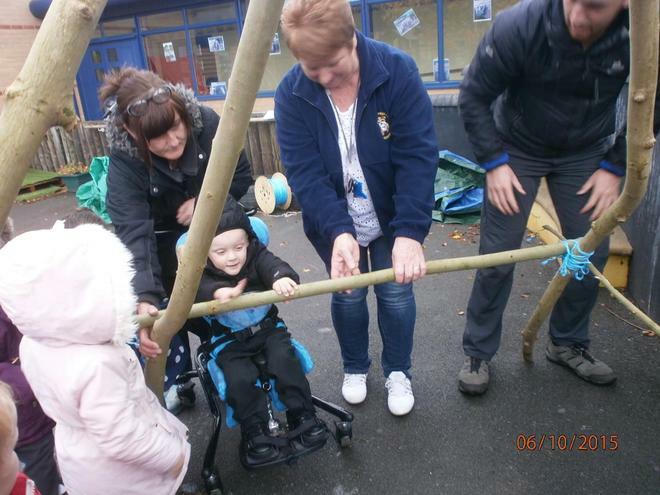 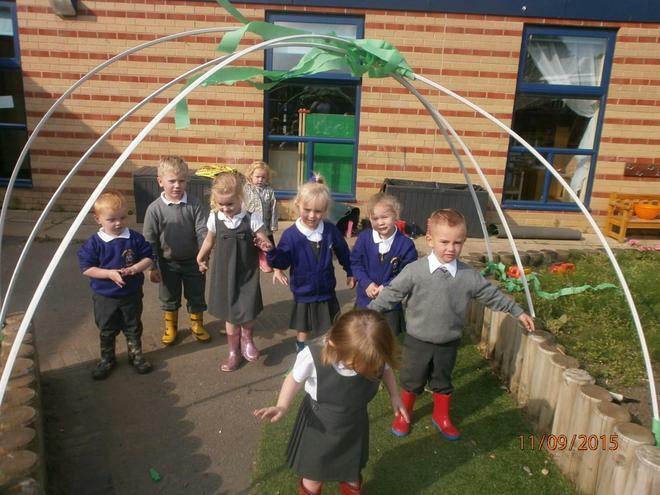 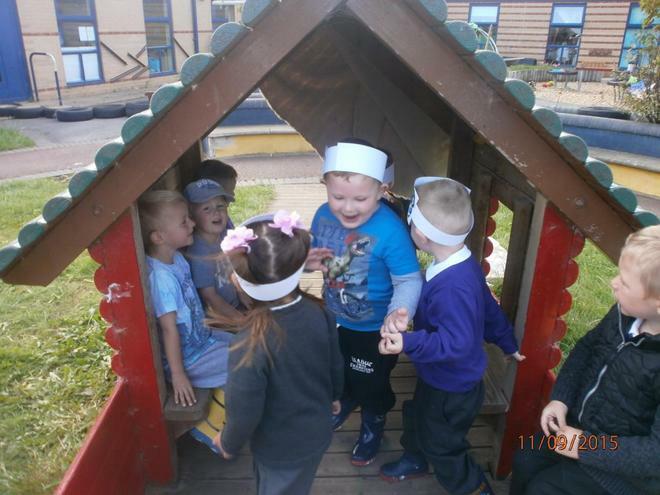 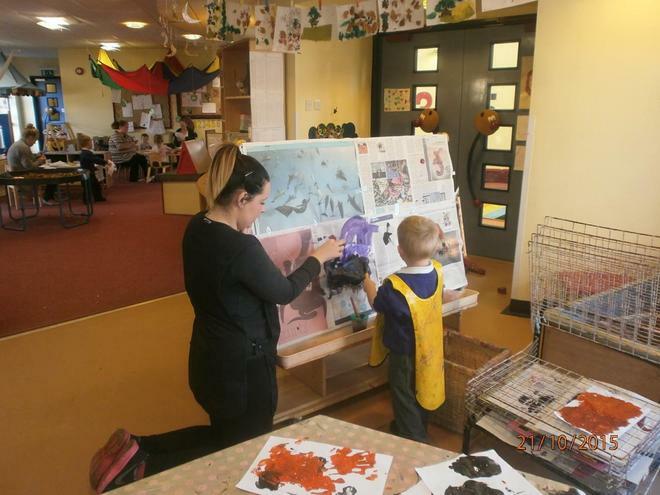 The children have been learning the story 'We're going on a Bear Hunt' and came to Nursery in their wellies on Friday to go on a bear hunt in the Nursery Garden! 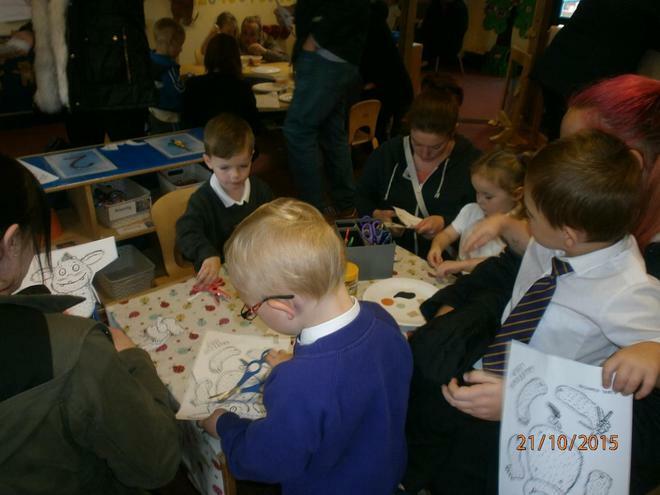 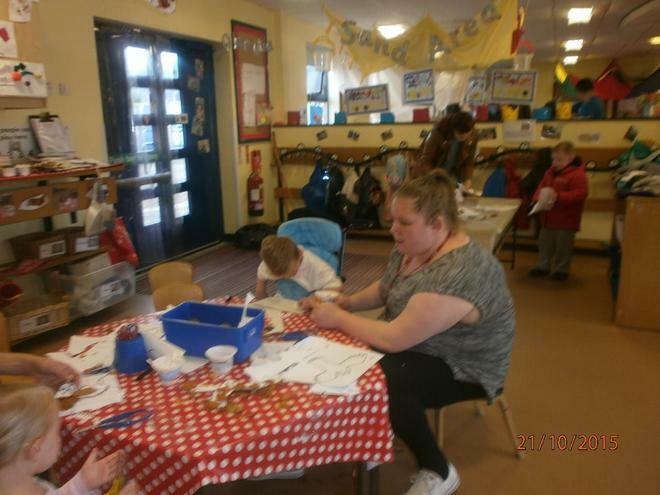 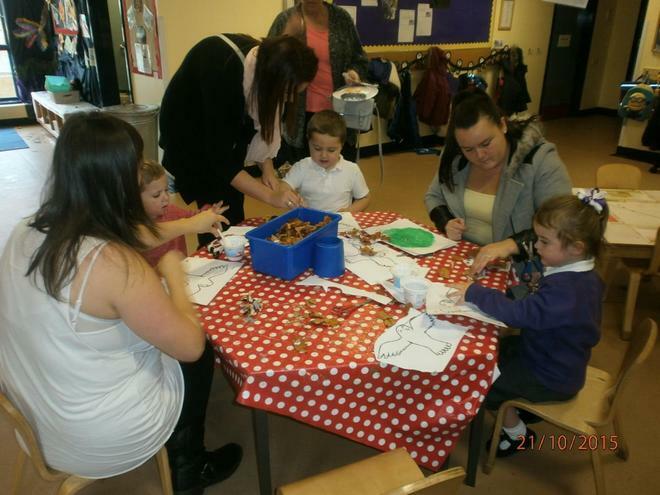 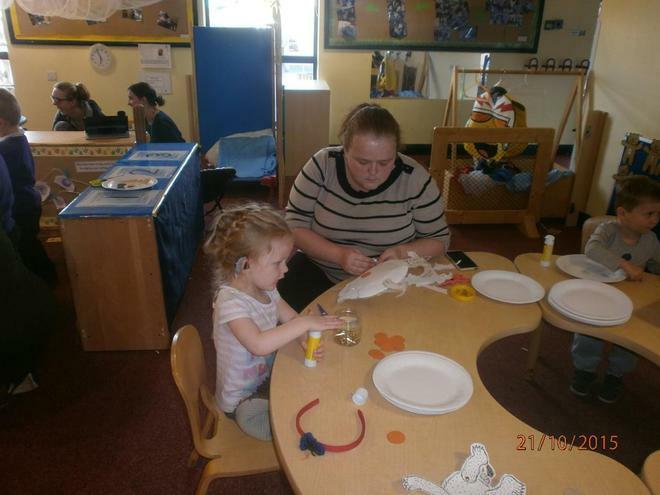 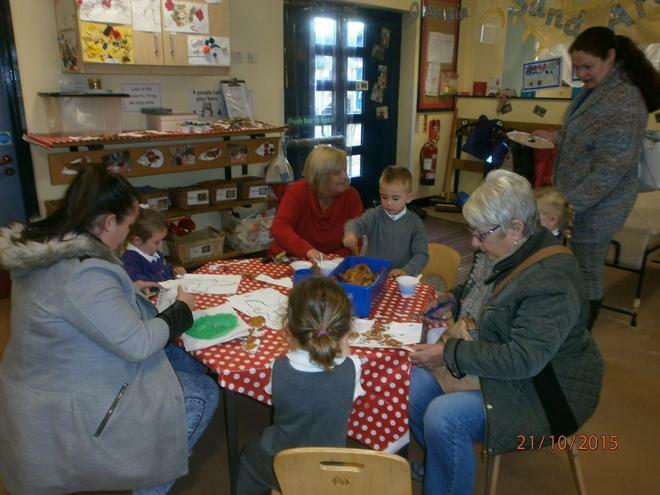 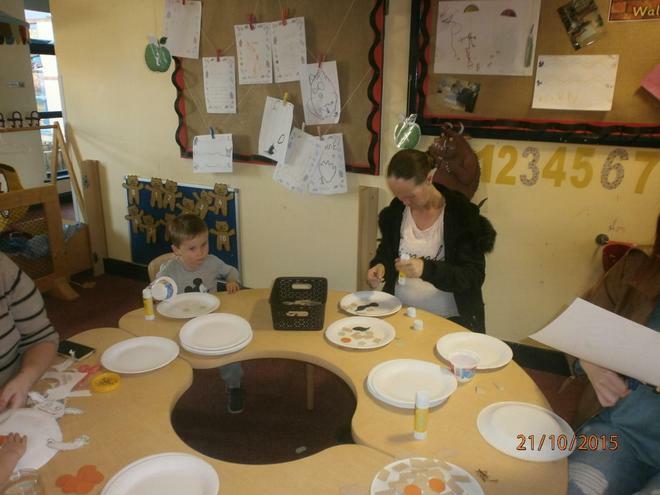 The have also been making bear hats and binoculars to help them find the bear.